Players can compete in local wireless matches or online over a broadband Internet connection. The game supports both SpotPass and StreetPass features. Players can show their own style by customizing their vehicles with accessories that give them a competitive advantage. For instance, giant tires help a kart drive off-road, while smaller tires work best on city courses. People can choose to race as one of their favorite Mushroom Kingdom characters or even as their Mii character. The Mario Kart franchise continues to evolve. 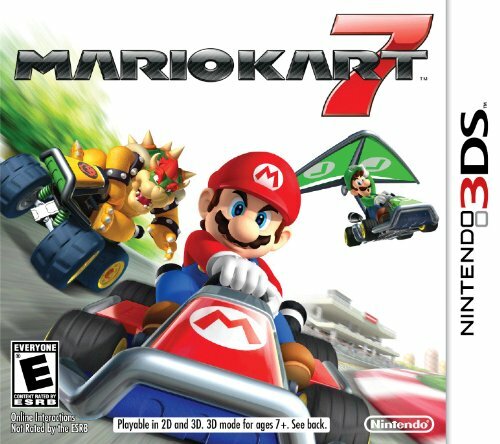 New kart abilities add to the wild fun that the games are known for. On big jumps, a kart deploys a wing to let it glide over a track shortcut. When under water, a propeller pops out to help the kart cruise across the sea floor.